It’s been a while since I posted a new book in my Favorite First Lines series but but I have a great one for you this month. The body you are wearing used to be mine. 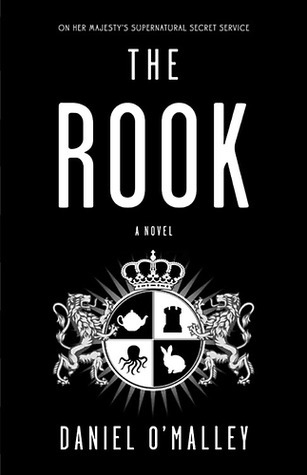 I had a lot of fun with Daniel O’Malley’s The Rook and really enjoyed my time spent in this highly imaginative world. If any of you have read it I would love to talk about your impressions. If this post leads you to add it to your “to be read” pile please let me know! This is the sixth book featured in my Favorite First Lines series. Previous months include The Secret History, The Magicians, The Shadow of the Wind, The Iron Hunt, The Night Circus and The Name of the Wind. If you would like to see the full posts please follow this link. At your suggestion last summer I read this while laid-up after foot surgery and a year later I still think about it! I hope, hope, hope there will be a sequel. The scene when they first discover the source of the purpose mold spores has stuck with me the most. Which scene sticks with you? The purpose of the mold spores was a big moment for me too but I think the first thing that caught my attention was the author’s way with dialogue. I really had fun with his dry sense of humor, even during the darker scenes. Yes, there will be a sequel. 🙂 It is finished and with the editors now! Exciting to know another book is coming out! I will definitely check this one out, Lisa. I find the best books from taking the endorsements of people I like to visit. Oh that’s great! Let know what you think once you get a chance to spend some time with it.